Scraphoarder wrote: I put my name on the google list for 2, but no clue if it was registered or saved. Sorry. I was using a Surface navigating with touch and couldnt scroll down so i thought the doc was locked and the open spot on the top was for filling in i would automatic get my place. Never used Google docs before..
Added myself to the waiting list. I see some people noted themselves as preferring a kit for self-assembly. Can we request it that way? I'd quite like that. No problem! I just figured it would be a fun little project. I'd rather have the card and find something else to solder, than not have the card at all. Thanks so much for your hard work! Is there a chance that cards will be ready at October? Hi, I've added my myself to the list, hope that's alright. Thanks for making these cards by the way, so much appreciated. I just hope you don't run out of components by the time you get down the list, haha. Iv'e been viewing VOGONS for years, I should have signed up ages ago. I hate these delays as well - we are already a couple of months overdue but when life thinks otherwise you don't have a choice. Remember this is not a business (sadly ) , it's a spare time project. Delays are no problem, I prefer quality over a speedy release anyway. Does sound come out ?? It looks so odd with the disparity in size. ha yes you a brave man testing it with a XR385! allright, we are getting there! 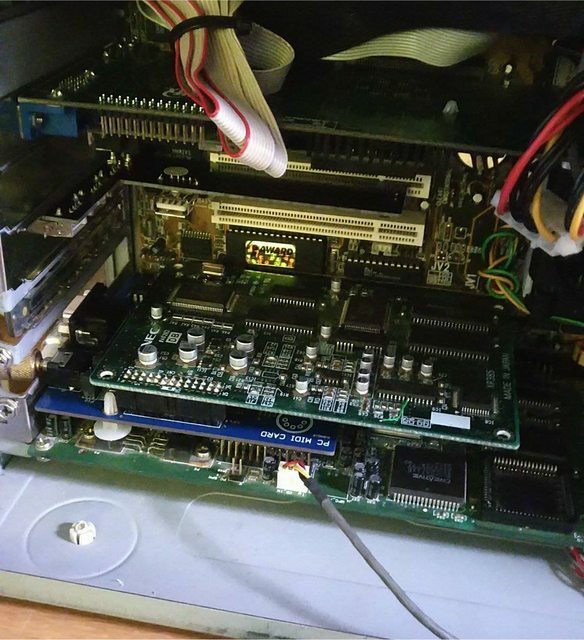 You can see that a couple of passives were replaced by a dedicated reset ic - this was needed for stability so that every daughterboard will work no matter how good or cheap it is. 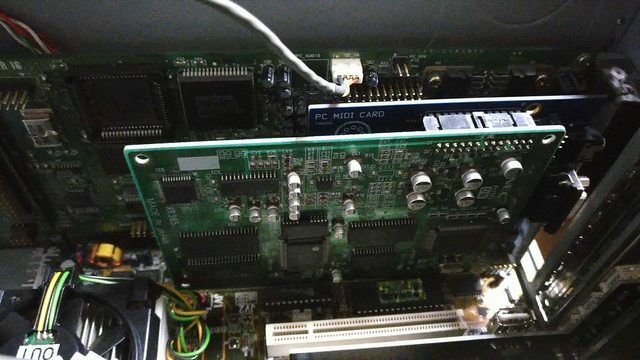 Ofcourse this will be fixed on the next PCB revision - the boards as they are patched at the moment work perfectly and stable , ofcourse extensive testing is still going. All these are done for (and only affect) the wavetable header, the midi-out ports at the back are working perfectly with 100% compatibility just like the older card that was made.